Vapi Industrial Estate is a developed Industrial Estate with almost all the modern amenities and Infrastructure. A Smashanbhumi (Crematorium) was missing in the estate. 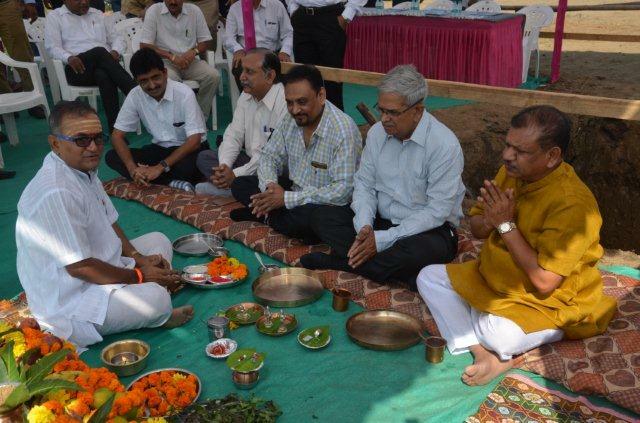 It was therefore earlier decided to establish a Smashanbhumi at Vapi GIDC Estate. 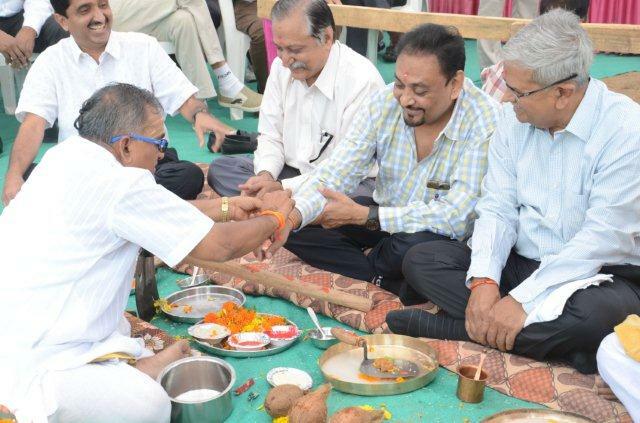 Muktidham Charitable Trust, Vapi was formed with senior members of Vapi Industries Association for Establishment of a Smashanbhumi at Vapi GIDC Estate. 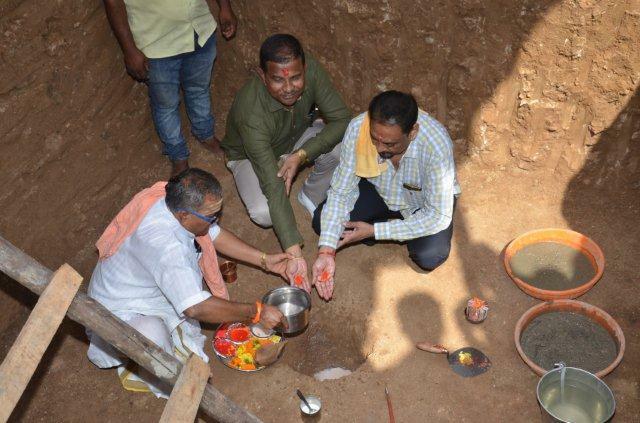 GIDC also allotted a land at the bank of Damanganga River for the said Smashanbhumi. 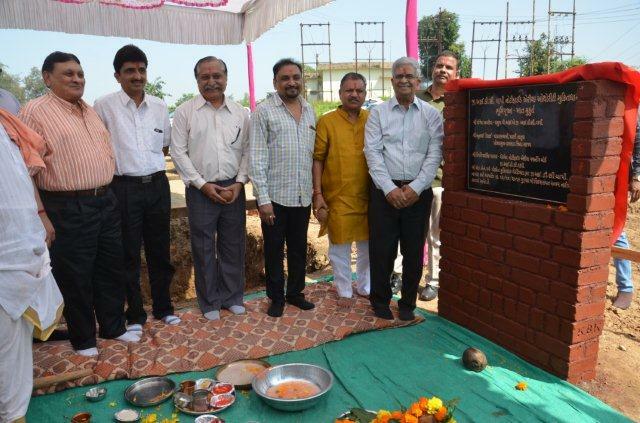 The Khat Muharat (Foundation Stone Laying Ceremony) was done at 9:30 am on 13th October 2016 at the Smashabhumi Site by the worthy hands of Shri Kanubhai Desai, MLA – Pardi & President of BJP, Valsad District, Shri Digvijaysinh Parmar, GM, Grade 1, GIDC, Vapi, Shri Yogesh Kabaria, President, VIA and Shri L N Garg, Chairman – Muktidham Project, VIA. The Khat Muharat was done in presence of Shri Hitendra Thakkar, Vice President, VIA, Shri Parthiv Mehta, Hon. Secretary, VIA, Shri Lalit Arora, Treasurer, VIA, Shri Magan Savalia, Jt. Secretary, VIA, Shri A K Shah, Past President, VIA, Shri Milan R Desai, Chairman – PR Committee, VIA, Shri A K Patel, Chief Officer, NAA, Vapi and many senior industrialists and members of VIA and officers of GIDC & NAA.